But Mr. Bush's spokesman wouldn't repeat any of those assertions Monday in the face of Rove's own lawyer saying his client spoke with at least one reporter about Valerie Plame's role at the CIA before she was identified in a newspaper column after her husband, former ambassador Joseph Wilson, wrote an article criticizing the Bush administration's Iraq policies. Rove described the woman to a reporter as someone who "apparently works" at the CIA, according to an e-mail obtained by Newsweek magazine. White House press secretary Scott McClellan refused to discuss the matter at two news briefings Monday. He said he would not comment because the leak is the focus of a federal criminal investigation. "The prosecutors overseeing the investigation had expressed a preference to us that one way to help the investigation is not to be commenting on it from this podium," McClellan said in response to a barrage of questions about Rove and the previous White House denials. "I'm well aware, like you, of what was previously said," McClellan said. "And I will be glad to talk about it at the appropriate time." He said the appropriate time would be when the investigation is completed. On June 10, 2004, Mr. Bush said he stood by his pledge to fire anyone found to have done so. Democrats Monday said they hoped the president would make good on that pledge. But Rove's attorney tells Roberts there's nothing in the e-mail that Rove hasn't already told investigators and that Rove was only trying to steer Cooper away from potentially bad information, not disclose the identity of a covert agent. 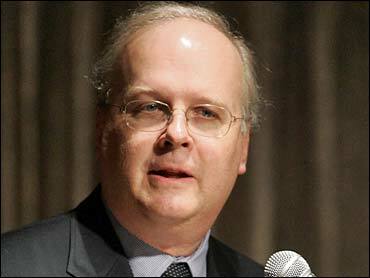 He also said Rove has been assured by prosecutors that he is not a target of the investigation. But, as Roberts reports, it was a bad day at the White House, unable to defend its own "on the record" statements and unable to explain why what it repeatedly said with such certainty 21 months ago now would appear so demonstrably false.